Often listed as a top fear of even the toughest people, bugs can be disturbing little creatures. They carry disease, bite and sting to protect themselves and travel in swarms so homeowners often find they are dealing with millions of little problems. However, it is important to remember that not all bugs are bad. The occasional helpful little creature crawling here or there may do more good than you realize. The trick is figuring out which bugs to let go to do their handy work and which ones to combat with the services of exterminators. Many people call Orkin at the first sight of an insect, but it is better to let some bugs go. If you are concerned about a problem, have a professional bug expert visit once a year to do a sweep of your home and ensure there are no infestations. The rest of the year, do what you can to live peacefully with the bugs that make their way into your home. The first bug you should welcome into your living space is the spider. 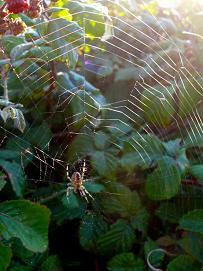 The occasional spider weaves its web and captures other, more annoying insects. If you find there are nests of spiders throughout your home, you may have a problem on your hands, but just seeing one every now and then is a good thing. If you have children, help them understand the fascination of the spider. Explain to them that they should not be touching the insect, but if they want to watch it weave or accomplish other spider-like tasks, it can be an educational way to pass a few lazy summer afternoon hours. 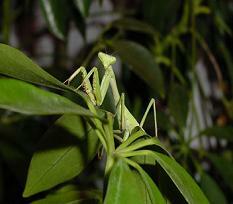 The praying mantis is another example of a good bug. These lengthy creatures look odd but they do a world of good for your garden and home. Many cultures believe it is lucky to find one, so if you see one of these gangly stick bugs with eyes that appear to be looking at you, do nothing to harm it. They are friendly bugs, they cause no harm to humans, and they will work hard to keep your space pest free. 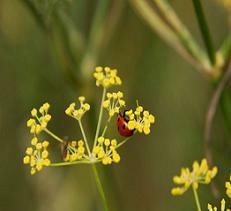 Ladybugs are another example of bugs that are considered lucky. Kids and adults who are normally terrified of insects often warm to the ladybug as if it is furry and cuddly. These bugs are red and covered in black dots, a color and design that is often imitated in fashion and home decor. When a ladybug gets wet, it can be difficult for it to fly, so if you see a ladybug floating on water, do what you can to rescue it and help it dry out so it can return to its adventures. Finally, the dragonfly is one of the most exciting bugs to have in your garden and in most instances; people will welcome its presence. Their translucent wings appear to shimmer and if left to their own devices, they will help you cut down on pesky insects that spread disease. 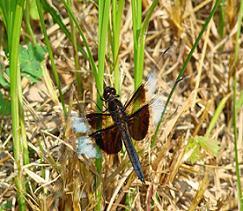 If you see a dragonfly, leave it alone and let it do its work. For more information on exterminators go to http://www.sentricon.com/locator.